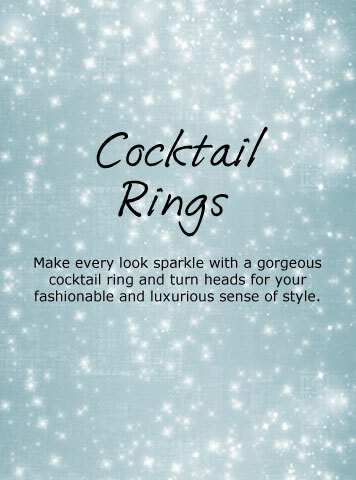 The party season is here and it’s time to get your festive accessories planned for your busy social calendar. We’ve chosen a selection of jewellery and watches, perfect for every occasion, from Christmas parties to dinner with the girls, that guarantee to see you set the trends this Christmas. Embellished with glittering cubic zirconia, these earrings will ensure you dazzle from every angle. These lust-worthy earrings will ensure you stand out from every crowd. 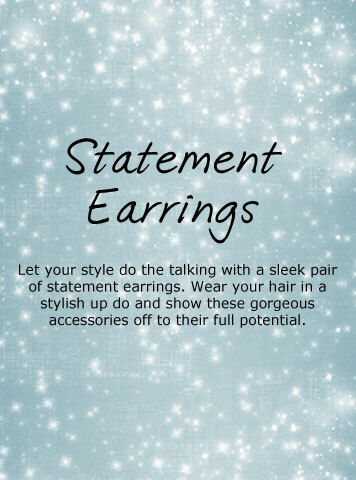 Add instant sparkle to your glamorous dresses with these gorgeous earrings. Completely glamorous, Ensure you sparkle for every occasion with these dazzling 9ct white gold cubic zirconia earrings. All of your looks should carry a little sparkle, and these 9ct gold cubic zirconia earrings are the perfect way to take luxury with you at all times. The perfect party piece, complete your look with a chic LBD and some killer heels. Create a look of timeless glamour with these beautiful, show stopping earrings. The perfect mix of glamour and romance makes this double heart necklace the must-have accessory for the party season. Add an enchanting touch of sparkle with this stunning 9ct gold cubic zirconia pendant. 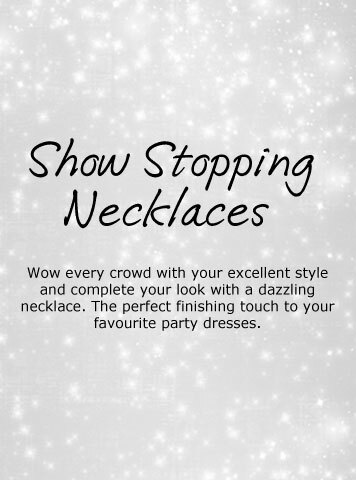 This glamorous Swarovski necklace will ensure you take centre stage. Wear on its own, or layered with other necklaces to stay one step ahead of the latest trends. This pendant shows a mix of vintage-inspired style with a fashionable finish. A simple and elegant design, this necklet will add glamour to your look from day to night. Guaranteed to transform your look in seconds and give you instant luxury, this stunning necklace will ensure you steal every spotlight. Impossible to resist, you won't be able to take your eyes off this stunning ring that’s perfect for a hint of Christmas sparkle. Timeless in style, this gorgeous opal ring is vintage-inspired for a classic look. An effortless way to gain instant luxury, this ring will capture everyone’s attention. Truly fit for a princess, turn heads for your immaculate style with this luxurious ring that glistens from every angle. Guaranteed to make every look completely wow-worthy, this stunning ring is finished with a luxurious rose gold plating to accentuate your fashion-forward style. Kick off the party season in style with this must-have 9ct rose gold ring. This ring is designed to dress up your look for 24/7 style. This seasons must-have accessory, this ring is designed to dress up your look for 24/7 style and guarantees to see you make a statement. Polish up your on-duty portfolio with this sleek and stylish chronograph watch and turn heads for your masculine style. This contemporary design will add an edge to your working and weekend wardrobe. Steal every spotlight with this sparkling Michael Kors mini Darci two-colour crystal ladies watch. Channel contemporary glamour with this unique and stylish design. Undeniably glamorous, three glistening cubic zirconia in stunning shades of purple, peach and turquoise glisten for a magical sparkle. Inject an iconic sense of glamour into your looks with this fabulous Marc by Marc Jacobs watch. 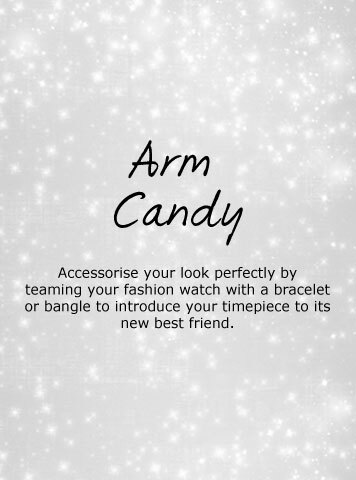 This easy-to-wear bracelet will become your hardest working piece this season. Perfect for wearing alongside your favourite timepiece, this easy-to-wear bracelet will become your hardest working piece this season.